Maternally inherited insect symbionts often manipulate host reproduction for their own benefit. Symbionts are transmitted to the next host generation through the female hosts, and as such males represent dead ends for transmission. Natural selection therefore favors symbiont-induced phenotypes that provide a reproductive advantage to infected females, regardless of possible negative selective effects on males. Male-killing (MK) is one such phenotype, in which symbionts kill the male progeny of infected females. Compared with other symbiont-associated reproductive phenotypes, MK is relatively unexplored mechanistically as well as ecologically. A male-killing Wolbachia bacterium strain named wBol1 has been described in the tropical butterfly Hypolimnas bolina. 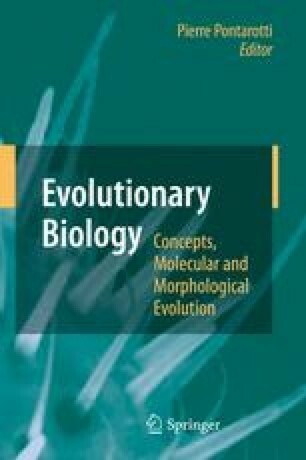 By reviewing the different features of this association it is possible to summarize what is already known about the biology and evolution of MK symbionts, as well as highlight the current gaps in our understanding of this striking reproductive phenotype. We would like to thank Dr. I. Iturbe-Ormaetxe, Dr. M. Woolfit and Dr. P. Cook for very constructive comments on the manuscript. We are grateful to the Australian Research Council (DP0772992) and to The University of Queensland (UQCS and UQIRTA) for provision of the funds.